It would be difficult to dispute Etosha’s status as one of Africa’s most-feted and best loved National Parks, a status confirmed by its regular appearance in newspapers and major publications far beyond Africa’s borders. 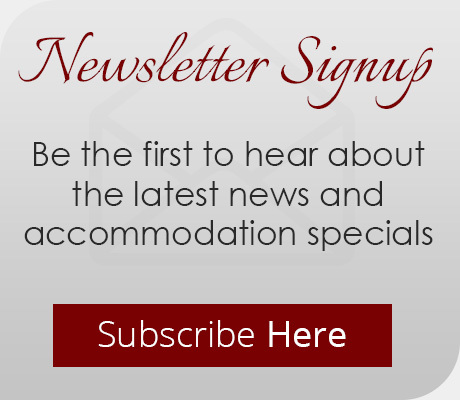 And true to form, Etosha made a star guest appearance on both Huffington Post and the UK’s The Daily Mail this past month thanks to the story of Morkel Erasmus. 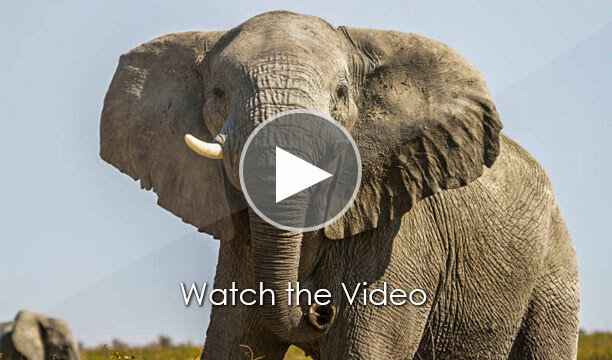 The Huffington Post featured Etosha as one of the “35 Most Amazing National Parks on Earth”, saying that none of Africa’s parks “combine such a variety of landscapes and wildlife”. Fine praise indeed considering the company Etosha keeps across the continent. 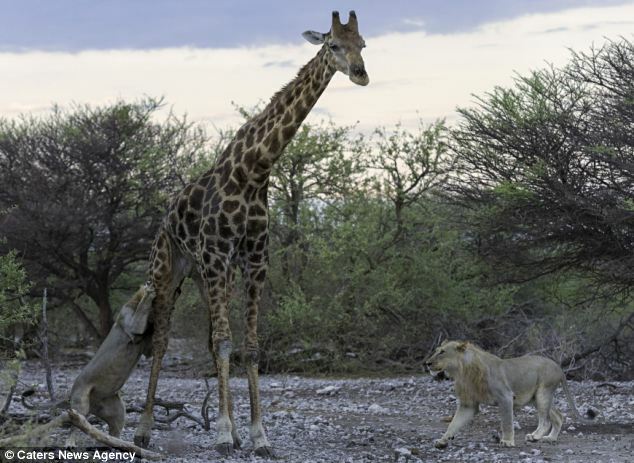 Then just a few days later, the amazing photos of a pair of Etosha’s young female lions taking down a fully-grown giraffe were featured by The Daily Mail. The giraffe was old and blind in one eye, and scars across its back seemed to indicate that this wasn’t the first time the vulnerable creature had drawn the attention of Etosha’s top predators. But to bring such a giant animal to the ground was still an incredible feat, as illustrated by the pictures. 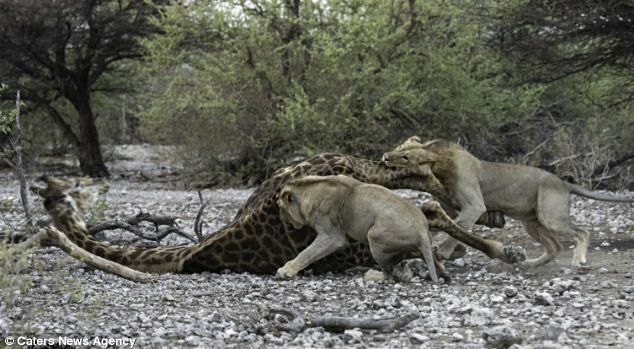 It appeared that the lions had been tracking the giraffe right through the night before they finally overcame him. 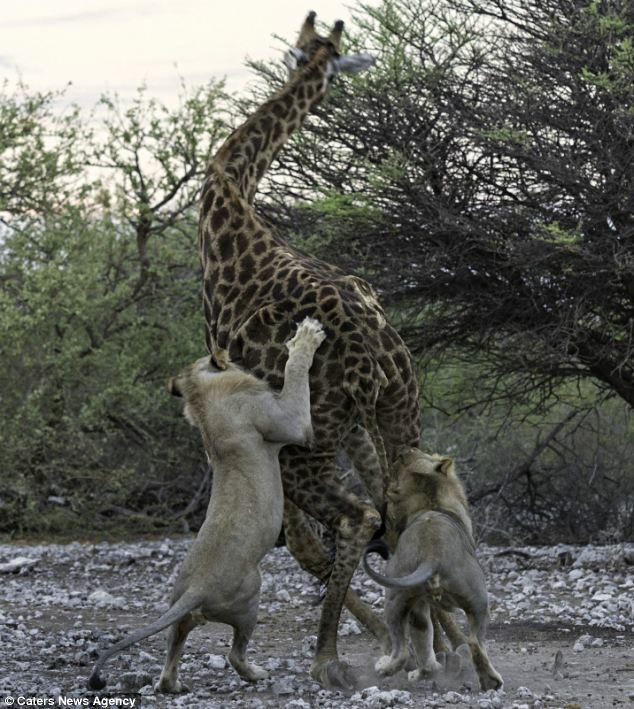 The photos were taken by South African photographer Morkel Erasmus, who said that “It’s a strange duality of the life of a wildlife photographer, finding joy and adrenaline at the chance of photographing these things, but also finding sadness and empathy with the victim”. And as is so often the case, it was the magical Etosha that had delivered this experience.